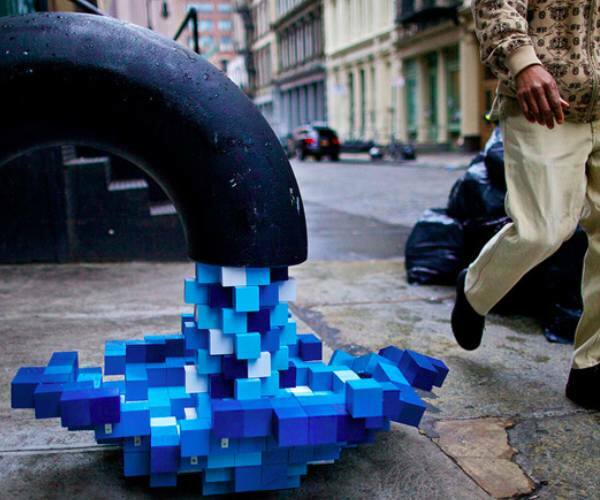 In New York City, pixelated art pours out into the street. A project dubbed “Pixel Pour 2.0” can be seen on Mercer Street In SoHo in New York City. FreshnessMag believes the work was done by artist, Kelly Goeller, whose last similar project was seen in 2008. This striking statement reminds us of our ever encompassing digitalized world.